As regular readers probably know, DMG and I are big Futurama fans. We’re also fans of Hedonismbot in particular, and have been disappointed that he didn’t make it into the Toynami line before it folded. 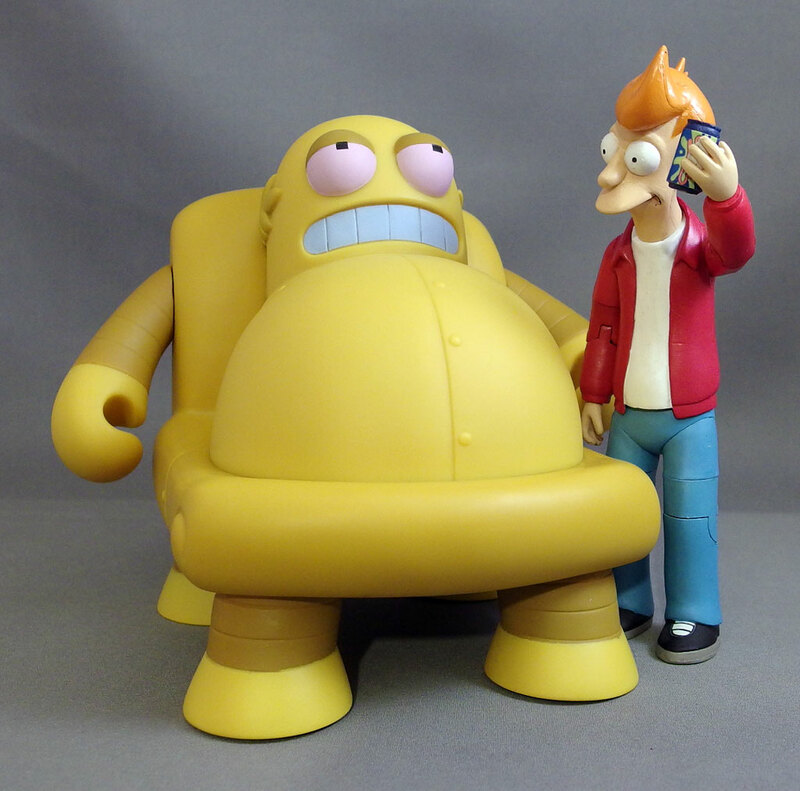 Kidrobot appears to be trying to rectify this by offering a 6″ vinyl Hedonismbot, which I got for DMG for Christmas. It’s in the super-deformed style of the smaller Kidrobot figures, so it doesn’t quite mesh with the Toynami line, as you can see above. But we don’t mind – the important thing is that there is now a Hedonismbot toy in the house. It’s made from soft vinyl and has a great feel. The arms move, and he comes with a bowl of grapes with a concave bottom so it can rest on his bulbous torso. At $50 retail, he ain’t cheap. But he’s a damn near must-have for Futurama fans. On a side note, DMG has an odd tendency to collect toys that end up being pretty valuable. Over the years, she’s obtained (well, been gifted by me) the Palisades 12″ Gir, the NECA 10″ Marvin the Paranoid Android, two of NECA’s Coraline figures (which are worth a small fortune now), and the Moore Action Collectibles 8″ deluxe Nibbler. More recently she’s gotten Kidrobot’s 8″ Hypnotoad and the smaller SDCC exclusive one from this year. Looks great, but pricey. 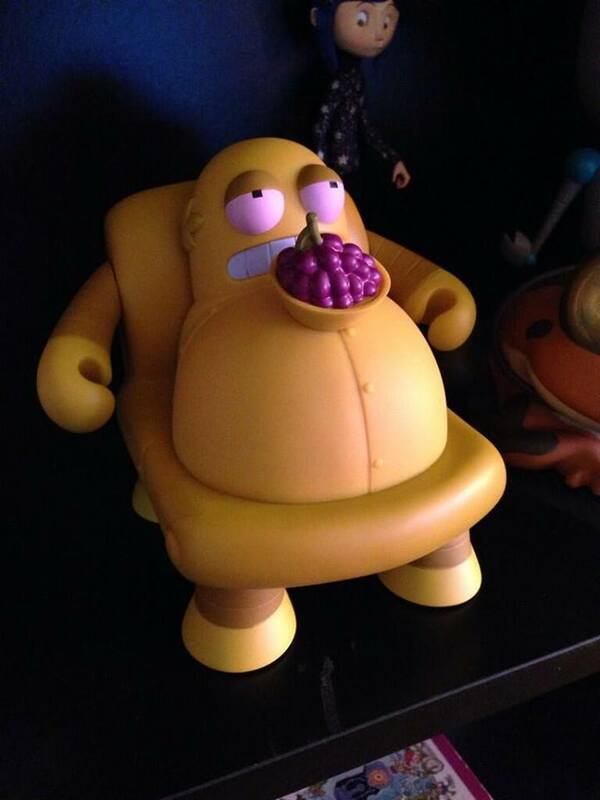 If it were a regular figure release I'd gladly drop 10 -$15 to put him on my random toy shelf next to Herbert from Family Guy.